Every single one of your students is a digital citizen, defined as, “…a person utilizing information technology (IT) in order to engage in society, politics, and government participation,” according to Wikipedia. Teaching your students how to interact in a world full of digital citizens is critical to their success as they move through school and eventually make their way into the workforce. Some of the most important lessons include how to qualify a reputable source, how to communicate appropriately online and how to stay safe. Luckily, there are many edtech tools that make your digital citizenship lessons fun, engaging and effective. 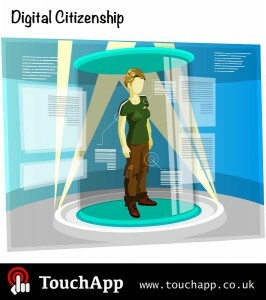 Here are a few to add to your list along; each one is listed with the digital citizenship lesson it’s best suited for. Over the years, Wikipedia has grown to be an unimaginably large collection of resources that many teachers warn students not to use for finding reputable sources. However, it’s actually a great tool for teaching students how to discern a good source from a bad one. The benefit of Wikipedia is that most pieces of information are cited, and this is where the lesson comes in. Reputable domain name, such as New York Times or websites with the .org or .edu domain. Related to the subject matter; a website about flowers is likely not a reputable source of information about cars. Links to sources, and references to authoritative studies and facts. Remind students that if the website is linking to a source, they should go directly to that source for their information. In this way, Wikipedia is a great starter website for researching, allowing students to find other, more reputable sources to gather information from. 25 percent of students have personally experienced repeated cyber bullying via their cell phone and the Internet. 55 percent of teens that use social media have witnessed cyber bullying via social media. What’s more, one of the most common types of cyber bullying is mean, hurtful comments being left by other kids, according to NoBullying.com. Whooo’s Reading gives you a lens into how your students communicate online thanks to its social interface. The students who use Whooo’s Reading, a reading motivation tool, often call it “Facebook for reading.” As such, it gives them a chance to communicate in a social-media style interface with your guidance. You’re able to monitor all conversations and comments, allowing you to intervene and teach students what is and isn’t appropriate. This makes it a perfect tool for easing students into social media in the classroom in addition to teaching them an important digital citizenship lesson. The lesson is simple, yet manages to pull out some of the most important digital footprint lessons for students to learn. Collaboration is no longer a skill that’s reserved for group projects or people in the communications field. Students now are expected to know how to collaborate effectively and have a basic understanding of the tools used to do so regardless. Teachers can create a culture of collaboration by creating a classroom Wikispace. With this classroom page, you can create teams and groups of students that use the tools within this platform to collaborate to complete projects and assignments. The class page also comes with a built-in newsfeed, teaching students how to interact and collaborate in a setting that is similar to social media sites they are most familiar with. All discussions and activity is tied to work and activities, keeping students focused on education and not gossip. It’s important that students are taught about Digital Citizenship in the classroom, especially as schools start to bring more technology and social media into the school setting. Use these websites and ideas to build digital citizenship into your lessons. Bio: Jessica Sanders is the Director of Social Outreach for Learn2Earn, a San Diego-based education organization that offers Read-A-Thon fundraisers and reading motivation tools for teachers and schools. She grew up reading books like The Giver and Holes, and is passionate about making reading as exciting for young kids today as it has always been for her. Follow Learn2Earn on Twitter and Facebook, and check out their new ebook, How to Bring Technology Into the Classroom, just $2.99 on Amazon.com.